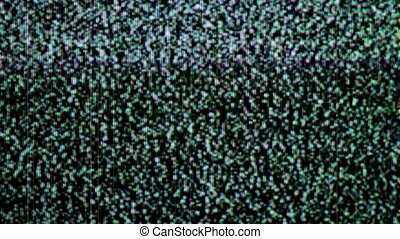 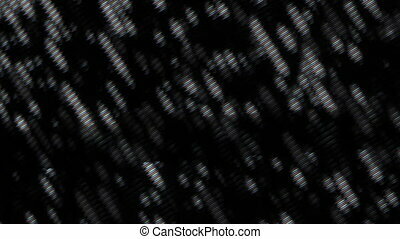 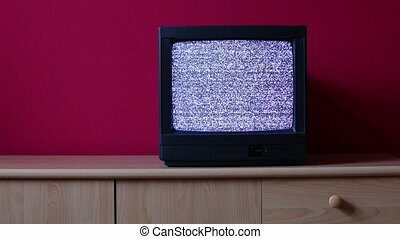 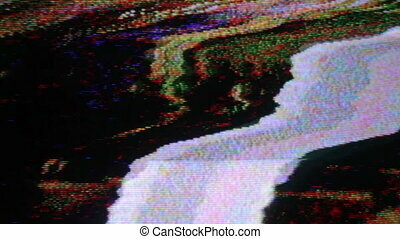 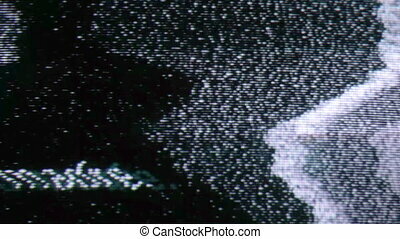 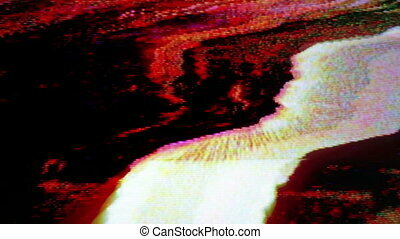 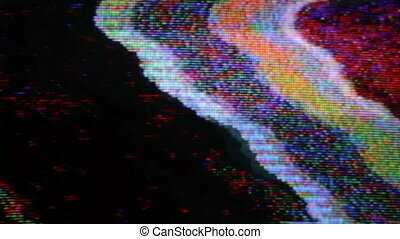 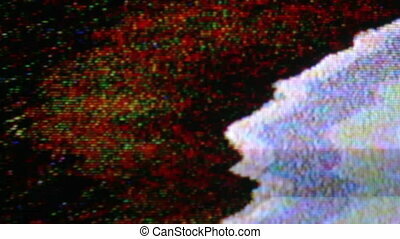 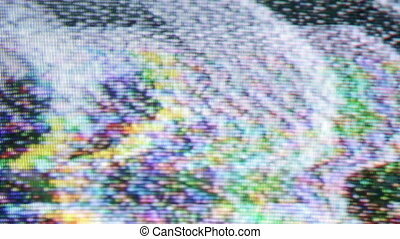 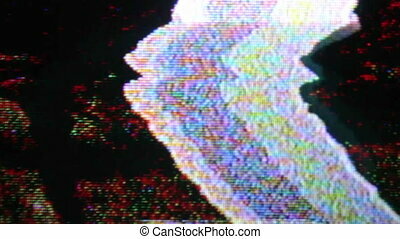 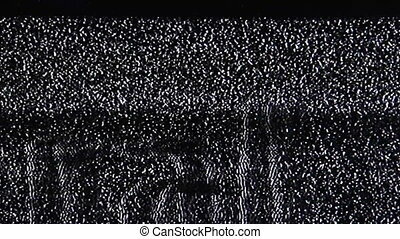 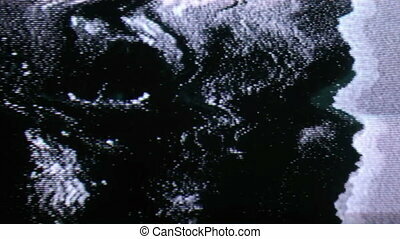 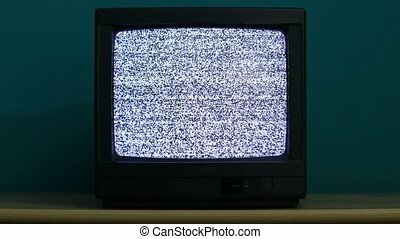 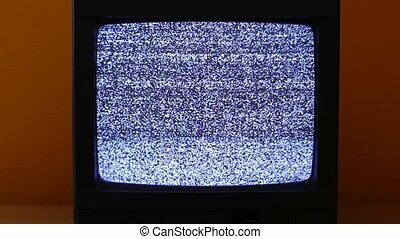 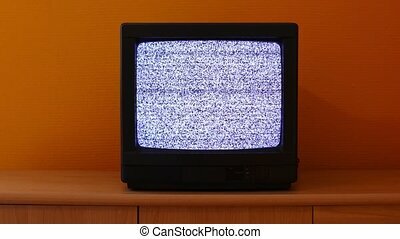 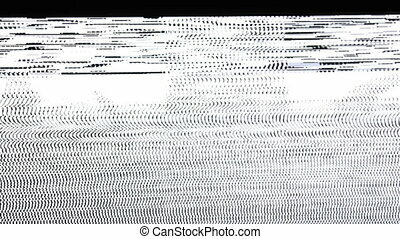 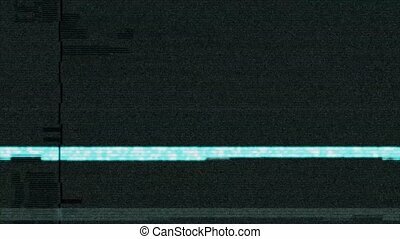 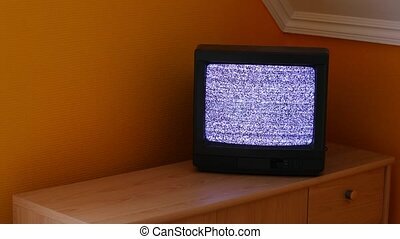 Static and electronic noise captured from an old television. 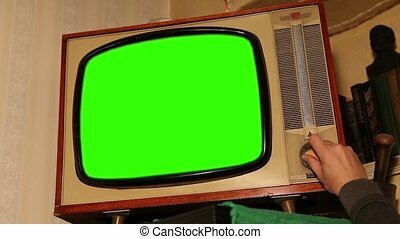 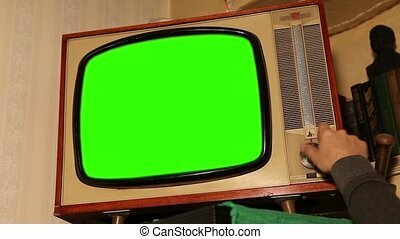 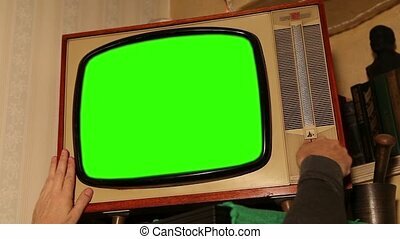 Old TV with green screen, retro TV in an old interior with a green screen. 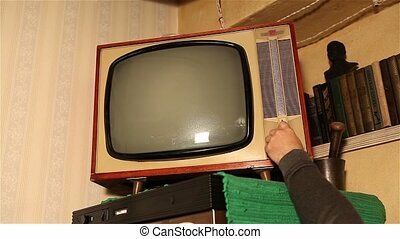 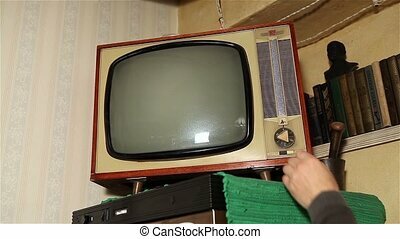 Authentic Old TV Screen At Home. 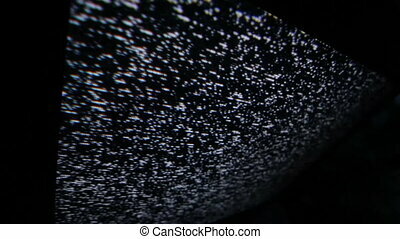 TV with static. 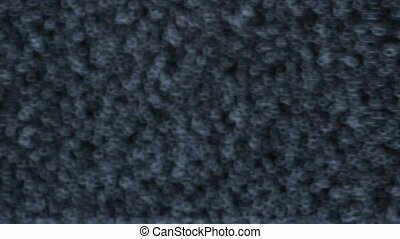 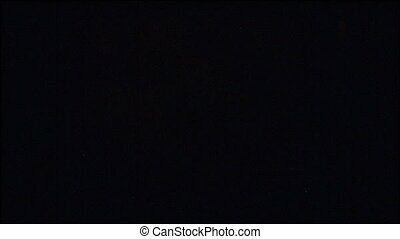 High angle shot from top corner. 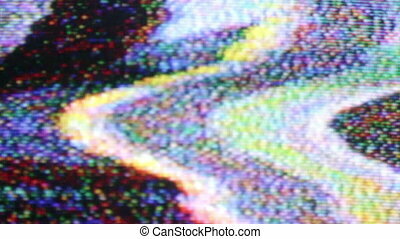 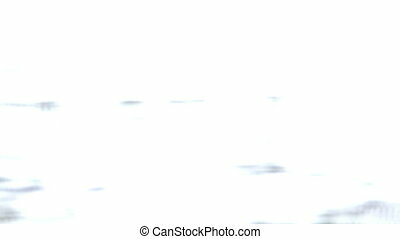 TV with static shot on an angle. 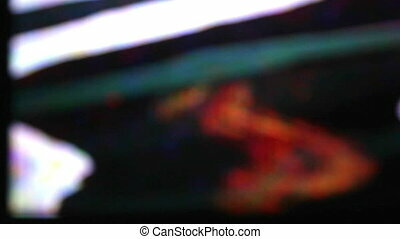 Shot at 60fps and rendered at 30fps to slow down movement.